The U.S. Food and Drug Administration (FDA) has approved Acetadote, an injectable drug used to treat acetaminophen overdose. Acetadote (acetylcysteine) injection will be used in an emergency room setting to prevent or lessen potential liver damage resulting from an overdose of acetaminophen, the leading cause of drug toxicity in the United States. According to the FDA, more than 56,000 emergency room visits and 100 deaths occur each year due to unintentional overdoses of acetaminophen, a common ingredient in many over-the-counter painkillers. Acetadote, administered intravenously within 8 to 10 hours after ingestion of a potentially hepatotoxic quantity of acetaminophen, is indicated to prevent or lessen hepatic injury. 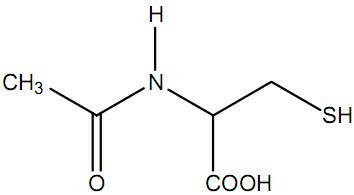 Acetadote is the first injectable treatment for acetaminophen overdose available in the United States.